Co-Founders of NYZCCC , teach, conduct workshops and lecture widely on contemplative approaches to end-of-life care. Paley Ellison is a visiting professor at McGovern Center for Humanities and Ethics at the University of Texas/Houston Medical School and has also lectured at Harvard Divinity School, Union Theological Seminary, Naropa University and given keynote addresses at National Hospice and Palliative Care Symposium, Association of Clinical Pastoral Education and the Integrative Healthcare Symposium. and have presented workshops and lectures at Alzheimer’s Resource Center, Integrative Healthcare Organization, Institute for Family Health, Maimonides Medical Center, Mont Sinai/Beth Israel, National Hospice and Palliative Care Organization, OMEGA Institute, Overlook School of Medicine, Phelps Memorial Hospital Center and South Hampton Hospital. 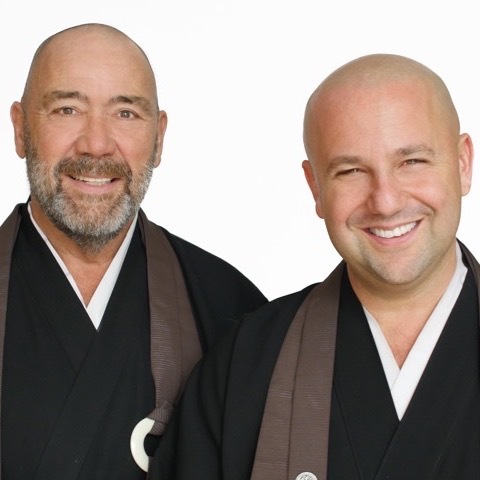 Koshin and Chodo are charismatic, engaging speakers and teachers and are available for workshops and lectures.